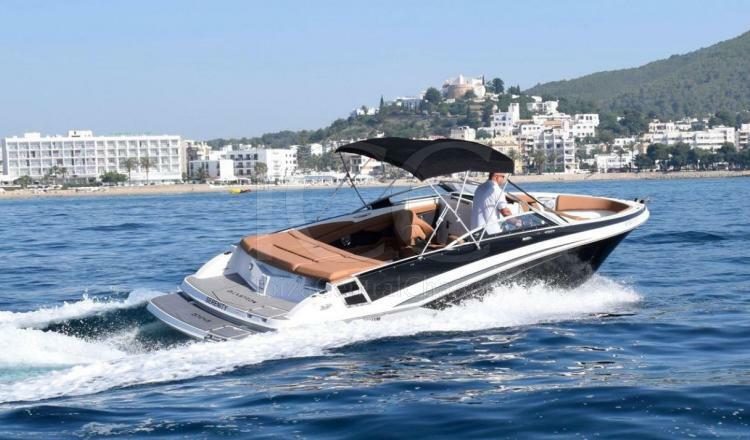 Glastron GT 245 motorboat borned in 2017 with almost 8 meters of length is mooring in Marina Santa Eulalia port to take yoy to discover all the wonders that Ibiza island hides. 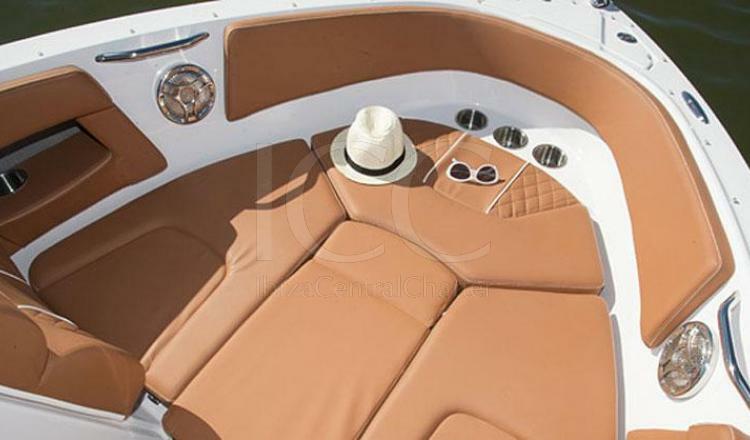 Glastron 245 is the perfect model to enjoy your sailing day in Ibiza with your five senses. 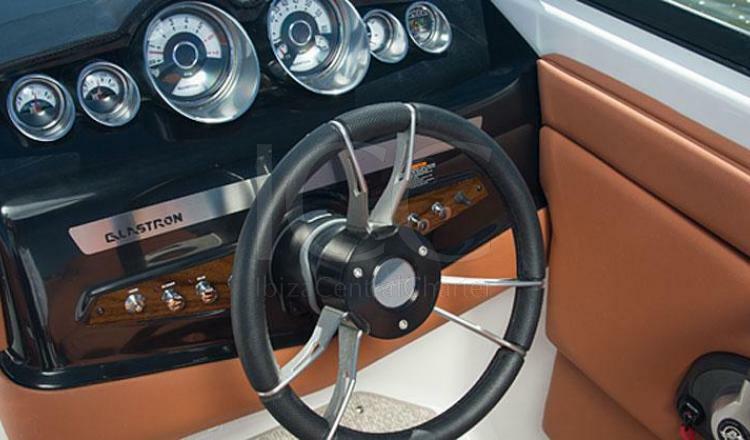 This boat presumes of design and comfort, two characteristics supported by its equipment. In the bow a cockpit with two great seats colocated in U form, another solarium in the stern accompanied by a double swimming platform, which helps the access to the sea for children and people with reduced mobility. 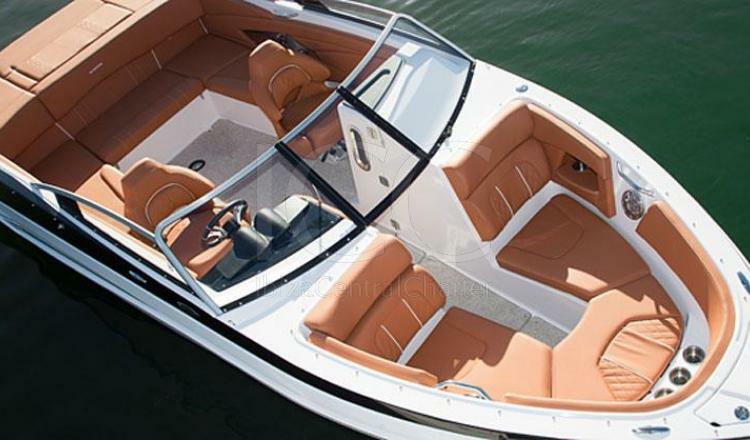 Everything with a bimini for very sunny days. 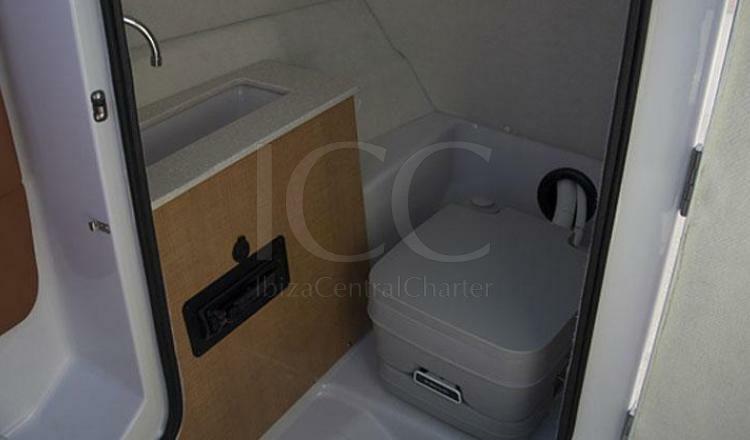 Glastron 245 has not forgotten including a fridge, shower and a toilet. 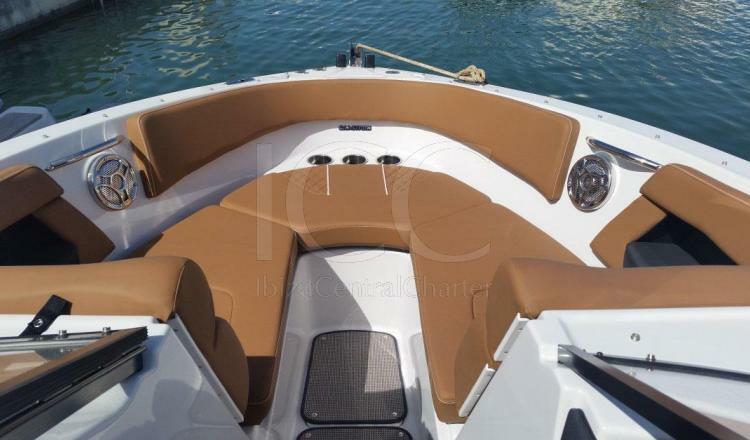 But in addition, this motor boat gives you the opportunity to practice water-skiing because incorporates the necessary trawling attachment to practice it. 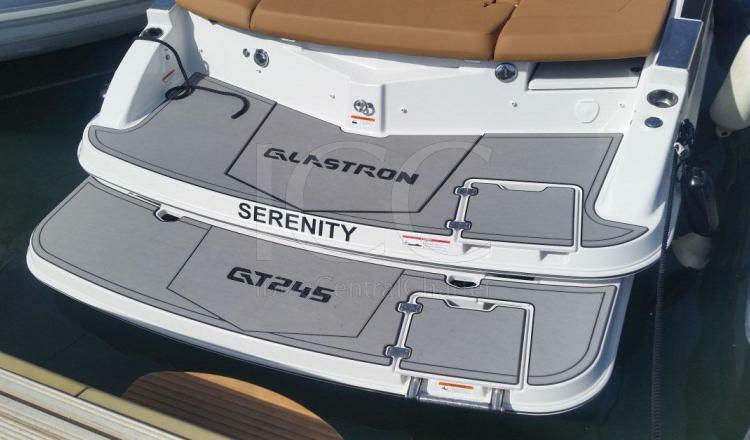 So definitely if you are searching for comfortable, modern and sport boat, where spend a perfect day, Glastron 245 is the best choice for this summer. - Mooring at Marina Santa Eulalia. - Soft drinks and snacks. 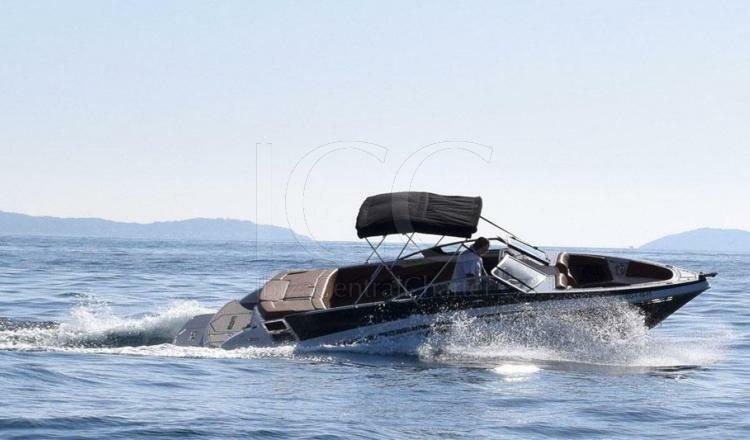 Extra services: Day charter and sunset +150€. 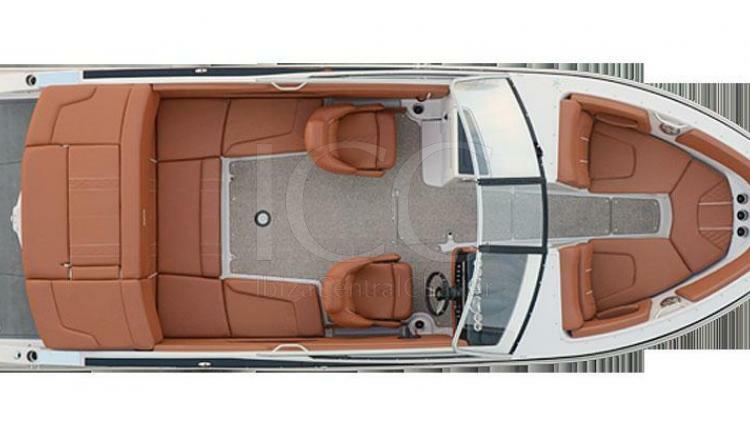 Capacity: Maximum 8 adults or 6 adults + 4 children.